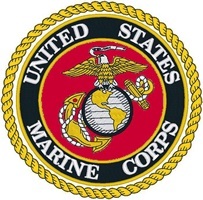 United States Marine Corps veteran Noah Harold Belew died Friday, April 5 in Pensacola, Florida. He was 92 years old. Born August 11, 1926 in Barnesville, Tennessee, Noah was one of six children of George Lonnie Belew and Rettie Mae Hickman Belew. He was a descendent of Revolutionary War veteran Zachariah Belew, and like him, Noah dedicated his life to honorably serving and defending the United States and its freedoms through military service. He engaged also in civil service and journalism, offering his commentary on current political and social issues in the opinion pages of several newspapers every week until his death. 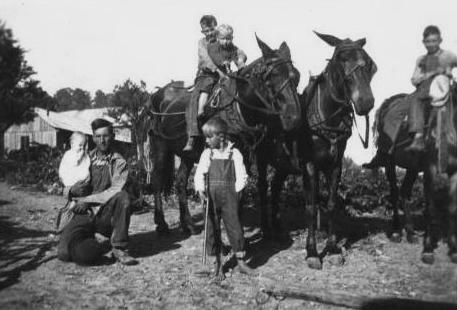 The Belew family settled east of Leoma, Lawrence County, in the early 1800s. Noah was born and raised on a rocky, hilly farm in the village of Barnesville. He left home at age 14 with only a few dollars in his pockets, which his mother had given him from her earnings selling eggs, milk, and butter. Having changed his birth certificate to make himself older on paper, he traveled to Michigan and was able to obtain a job earning $1.05 per hour with the Firestone Company. He was proud to earn a good wage, especially during the early '40s while the Great Depression was in full force. He joined the Marine Corps at the age of 17 under the command of Col. Lewis B. “Chesty” Puller. 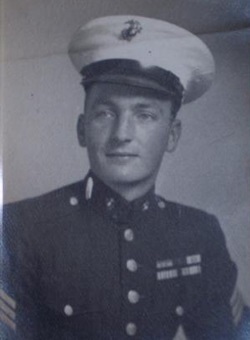 Noah's first experience in war took place a few days after he had turned 18 when he began his Marine Corps career fighting as a machine gunner in the Battle of Peleliu in the Pacific as a member of the First Marine Division during WWII. At times, the temperature on Peleliu was 120 degrees. Having survived Peleliu, Noah went on to fight in several other battles, including Okinawa. After three years of war, he reunited with his three older brothers, Alonzo, Loyd, and Claude, who had also served in the military (Army, Army Air Corps, and Navy) during World War II. Noah believed that all four brothers survived their many battles of war thanks to God's help. Later, Noah fought again with Chesty Puller and the First Marine Division in the Korean War, confronting Communist North Korea and China. 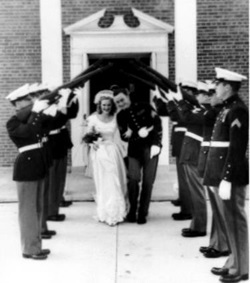 Marine Corps Wedding at Cherry Point, N.C. Following WWII, Noah married Clara Evelyn Jones (now deceased) and started a family. He fought in the Korean War, experiencing extreme weather in Chosen when the temperature dropped to 20 degrees below zero. 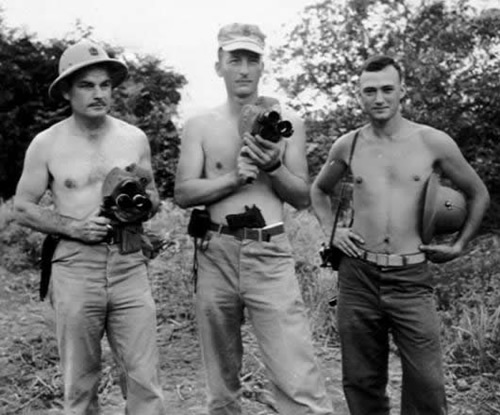 It was during the Korean War that Noah began operating a camera during battle. After serving 20 years in the USMC, Noah retired on June 30, 1962. He left Quantico on Friday and began working in New York City as a motion picture filmmaker the following Monday. Noah filmed the first Super Bowl commercial. He went on to film documentaries, and his work received an Academy Award. 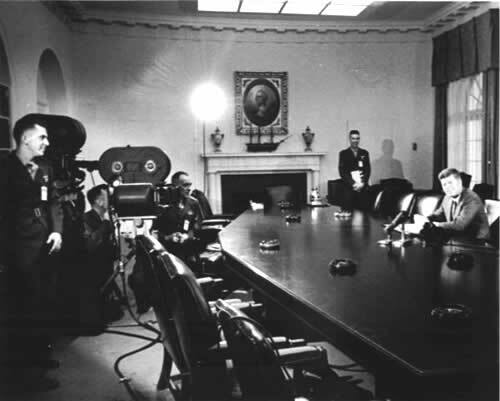 He filmed President John F. Kennedy in the White House, as well as John Glenn as he became the first American to orbit Earth. 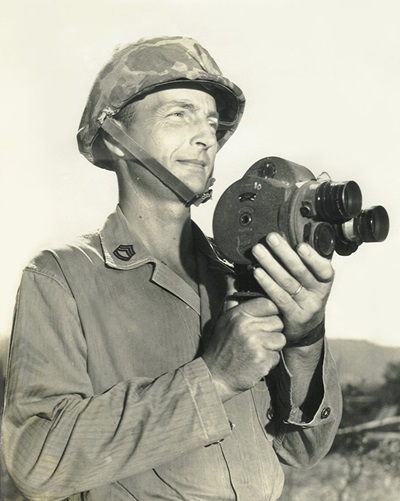 He also filmed top secret missions and U.S. presidential visits. Noah married Ann Marie O'Connor, and he continued to work for 20 years in New York and California. Retiring on his 55th birthday, he would then enjoy nearly four decades in Gulf Breeze, Florida, where he began his third career as a newspaper columnist for the Pensacola News-Journal and the Democrat-Union. He shared political and social opinions, which often created great debates in the letters-to-the-editor pages, including within the Gulf Breeze News. Noah enjoyed stirring up conversation, often saying that he would sometimes write articles for the purpose of igniting debate and action from readers. He believed in the freedom of speech, and he wanted all people to take advantage of their rights. Noah's eclectic career spanned over six decades. Although Noah needed to drop out of high school to help support his mother and father, he was determined to earn a college degree. While working full time, he enrolled in college and completed his goal, earning his college degree by the time he was 50. He studied for a real estate license and invested in homes. And with caring and fun in his heart, he became a Kentucky Colonel. Being in nature was his bliss. He spent many hours during retirement planting and growing trees and flowers, and he enjoyed wildlife, especially communing with birds and small critters. His green thumb enabled him to make plants grow and thrive beyond expectations. One of his friends, a clever television writer, once said that Noah's talent for growing was so good, he could “plant a 2x4 and make it grow.” Trees were a constant in Noah's life. 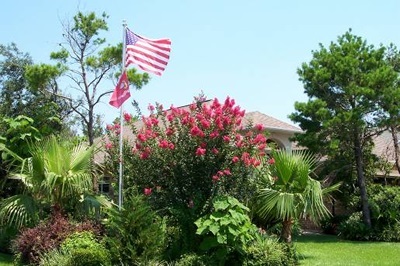 He once counted over 100 trees growing in his yard in Gulf Breeze. Dogs were always important to Noah. He credits a hero dog for saving his life during war. He enjoyed pampering his four-legged pals and taking them on daily walks. 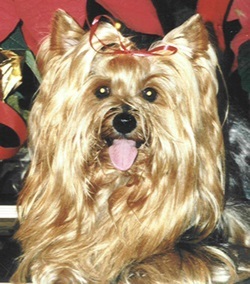 Many Pensacola and Gulf Breeze residents would often see Noah driving past with Yorkshire terriers perched near the driver's side window. He prepared fresh chicken daily, exclusively for his pups. Noah's own favorite foods included cornbread and buttermilk and a pot of white Navy beans and ham hocks. He was an expert at making Southern fried chicken. In fact, Noah loved to cook, and he posted recipes on his “Chef Noah” blog. Noah remained current with technology right up until the end of his life. He maintained several Web sites, including SemperFidelisNoah.com and NoahBelew.com. He enjoyed taking long scenic drives and fun road trips to explore, enjoy, and appreciate our beautiful country. Noah's skills were strong till the end, and he continued to drive his Lincoln Town Car until a few months before his passing. He was proud to have never received a traffic ticket throughout his life, and to have never been stopped by the police. Noah H. Belew is survived by his loving wife of over 50 years Ann Marie Belew; his three children, Noah Stephen, Bruce Morgan, and Linda Gail; his eight grandchildren, Forrest, Joshua, Rebecca, John, Stephen, Candace, Alex, and Kevin; and 12 great-grandchildren. Tremendously appreciated for his service to this country, Noah will continue to be loved and missed by many. 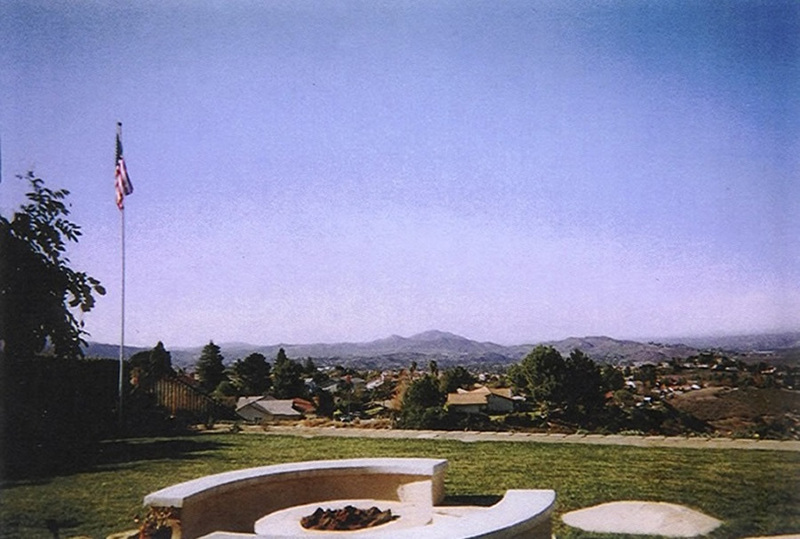 Noah's back yard in Thousand Oaks, California. One of his favorite views, enjoying nature and peaceful contemplation.